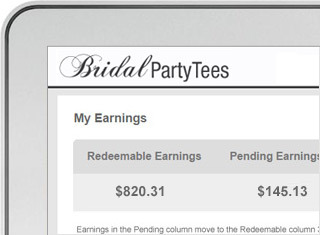 LAUNCH YOUR OWN STOREFRONT ON BRIDAL PARTY TEES! Anyone in the wedding industry. 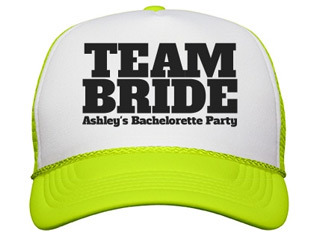 Anyone who just loves designing for bridal & bachelorette parties! When creating your store , you'll be asked to sign into your account or create one. Next you will be able to create a store URL, title, and description. You can also upload your own logo. The next time you save a design, you will see an option to share that design on your storefront. You earn royalties with each sale. That's it! 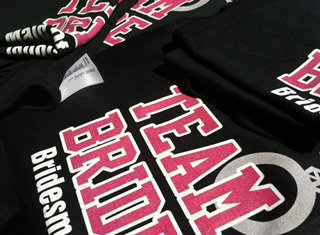 WHY CHOOSE BRIDAL PARTY TEES? Huge selection of trendy styles. Clearly, our shoppers are mostly brides and bridesmaids. 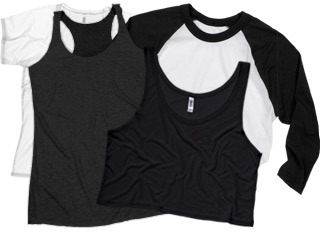 We have to offer a great selection of women's styles. We also carry tons of fun accessories like sashes, bags, hats, and more. You can earn up to 30% per sale. We looked at the margin for each item and set the royalty as high as we could. Royalty rates range from 10 to 30%. See which items earn the most. Every design is customizable in our easy-to-use design center. 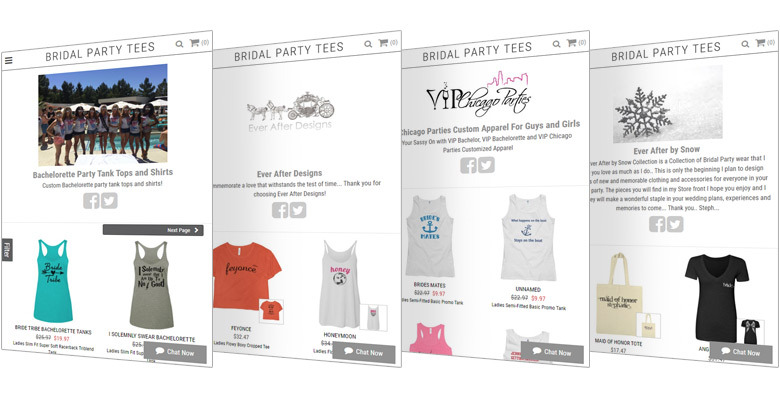 Do your customers want to add the name of the bride to a design? Or maybe the wedding date? It's not only possible, it's easy. 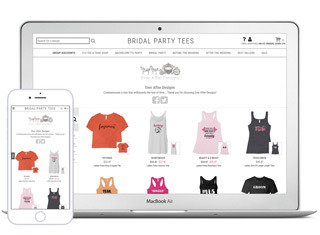 We are the only wedding-specific, print-on-demand, apparel-storefront-system that exists. 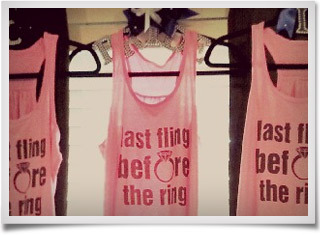 If your business focuses on weddings too, then you won't find a better fit! Learn about getting started, earnings, organizing designs, and more. Get all the basics here. Learn more about how the site works, get tips for creating designs, and read helpful info about marketing your store. See what advanced users are doing here.